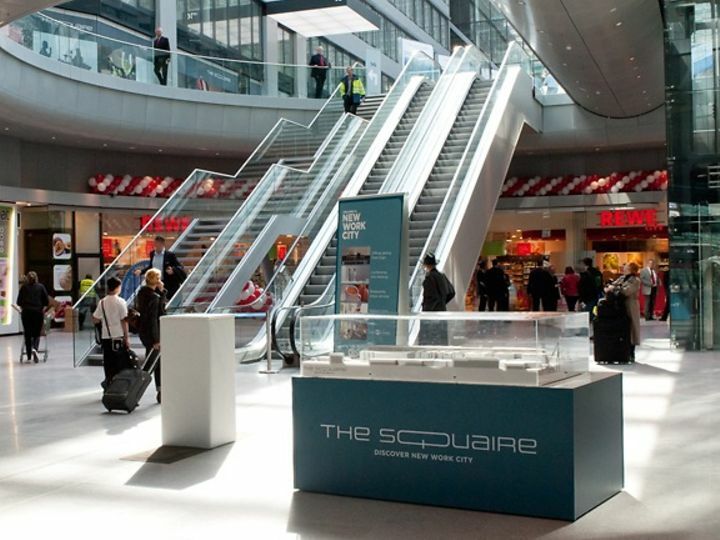 THE SQUAIRE - an elegant name for a stunning building. 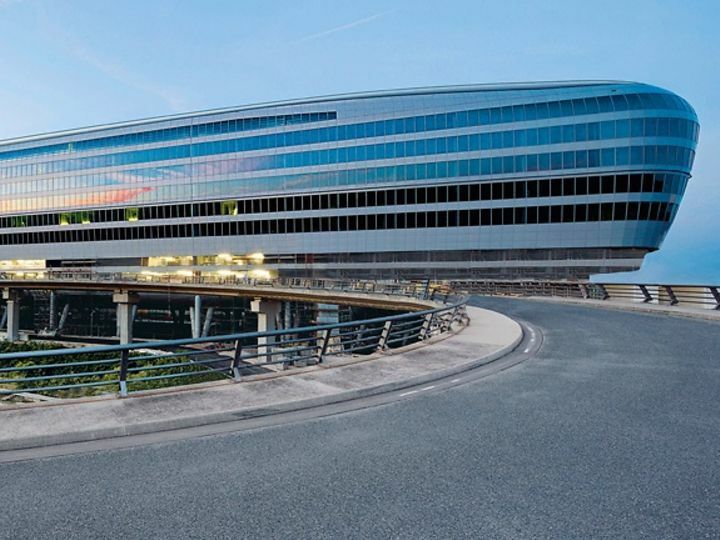 The omega-shaped edifice is 660 meters in length, making it Germany’s largest office complex. It accommodates 7,000 office staff on nine floors. 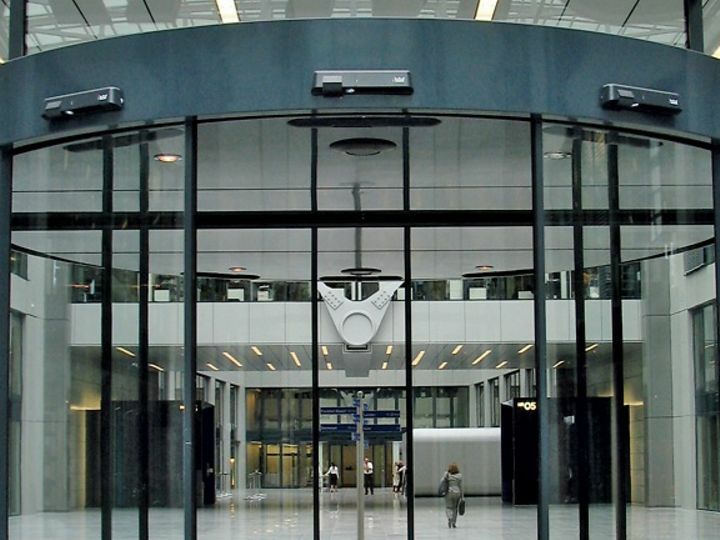 It is an exceptional space with optimal transport connections: right next-door to Frankfurt Airport, Europe’s second largest airport, and hovering above a mainline train station. The interior exudes a welcoming, spacious ambience that immediately affords a feeling of well-being. Despite its exceptional dimensions, it is in no way intimidating. This is a place for interaction and communication in which everything appears lightweight and visually elegant. dormakaba access solutions translate oval lines. dormakaba access solutions contribute to the accomplished realization of the interior. 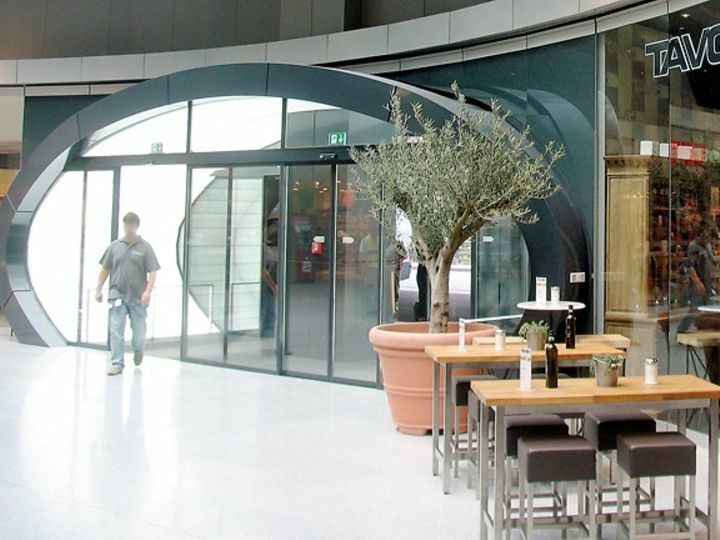 The curved lines of the building exterior are reflected in the oval arc of the dormakaba sliding door. Elegantly combined with the surrounding HSW horizontal sliding walls. 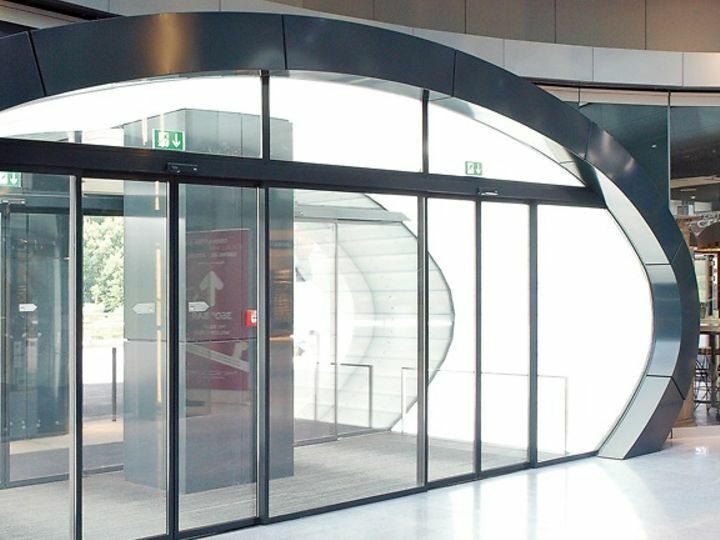 Curved sliding doors and around eight hundred ITS 96 door closer systems ensure convenience, while safety and security is provided by dormakaba emergency exit control systems and SVP locks.